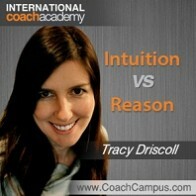 You are here: Home » COACH PORTFOLIOS » Research Papers » Research Paper: What Is Intuition And How Can It Be Used? I had a feeling this was going to happen. I should have listened to myself, now it’s too late…! This is a common expression which no doubt sounds familiar. No one seems to question the existence of a thing called intuition but many people question their ability to rely on intuition. 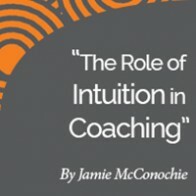 So what is intuition, where does it come from and why are people so hesitant to trust intuition to guide their decisions and their life? 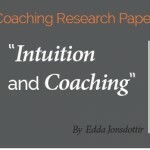 This paper will explore these questions and look at what a life led by intuition can look like. 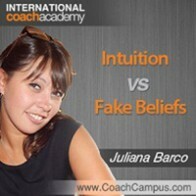 It will also look at ways in which intuition can be used in coaching and the effects of using intuition in coaching. gut feeling, intuition or hunch interchangeably. intelligence and understanding that bypasses the logical, linear cognitive processes; the faculty of direct knowing, as if by instinct, without conscious reasoning. Intuition is pure, untaught, inferential knowledge married to keen and quick insight. Malcom Gladwell explores those moments when a person “knows” something without knowing quite why they know it. He describes “those first two seconds” when “in a single glance” an opinion is formed or a snap decision is made using our adaptive unconscious or rapid cognition skills. Through a number of examples, Gladwell shows how when a person makes a decision there really is something more at play than logic and rational thinking. He says that what often happens during “blink” moments are small miracles that open the doorway for moments of incredible truth which in turn lead to amazing changes in the world around us. And this begins to explain the power of this untapped resource that we all have but often do not use. Intuitive ability is present in everyone because it is a survival skill . And intuitive guide Sonia Choquette describes intuition as a muscle everyone has but which most people have forgotten how to flex. 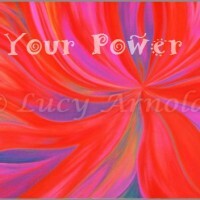 She says intuition is “the voice of our soul” and “an integral part of our spiritual anatomy”. She describes a life led by intuition as one in which everything becomes very easy, because intuition has access to the universal wisdom and can always lead one in the right direction. She says that becoming skilled at using intuition gives life a magical quality because choices become easy and people are led more directly to fulfilling their life purpose. It is the art of evolving your consciousness into a highly sophisticated receiver of vibrations, thus giving you more accurate information to work with as you interact with others in this life. What is obvious from these descriptions of intuition is that it plays an important role in how people make decisions whether they are conscious of it or not. In fact, using intuition well, whether it is called a “gut feeling” or a “blink moment”, can lead to amazing things like breakthroughs, new ways of doing things or even fulfilling life purpose. So why then are people so hesitant to use it? One reason could be that most people can’t explain where it comes from and are used to trusting their brains rather than their gut or heart. 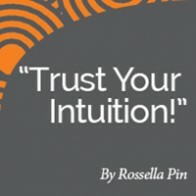 Research Paper: Trust Your Intuition!